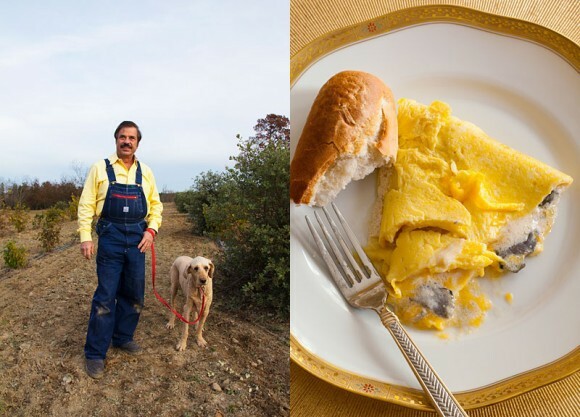 To celebrate October as National Pizza Month, I wanted to share this shoot I did with AAA Living all about pizza farms. Never heard of a pizza farm? Me either! It’s pizza night on a farm. Two things I love very much. AAA has a list of these farms where travelers can drive in, throw a blanket down, pour their favorite bevs, and enjoy a night of idyllic farm life, complete with pizza made from fresh ingredients (I’m thinking cheeses here). 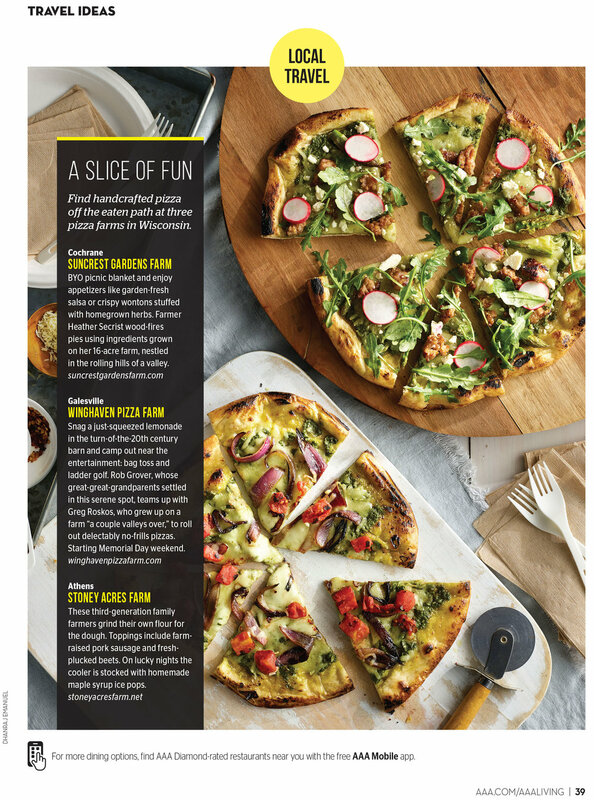 For this shoot, Tracy James along with Chris Ferguson at Pace Communications sent me a brief for two shots featuring two pizzas in each image representing pizza farms in Wisconsin and Minnesota. In my studio in Greensboro, I enlisted the help of food stylist extraordinaire Alex Blake to create a farm-like picnic-y feel. Props were sourced from the collection at the studio. Once we fulfilled the brief, we shot an additional image just for fun. 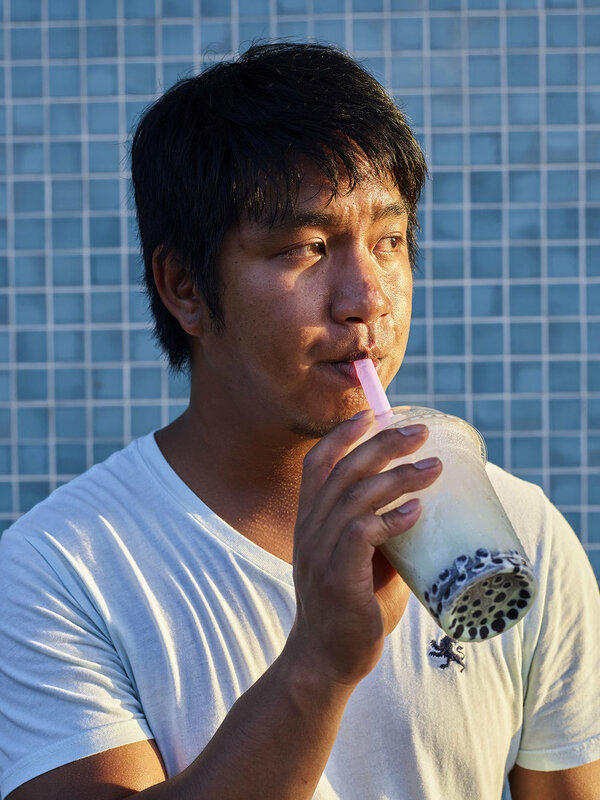 Ethnosh is a project that connects the public to immigrant-owned restaurants with photography, storytelling, and tasting events. When I photograph for Ethnosh, I’m always trying to represent each restaurant as distinctly as possible. This can be challenging because many of the restaurants aren’t able to spend a lot of time on the shoot. Many don’t have a lot of space for us to use during the shoot. But, these constraints can push us into interesting results. 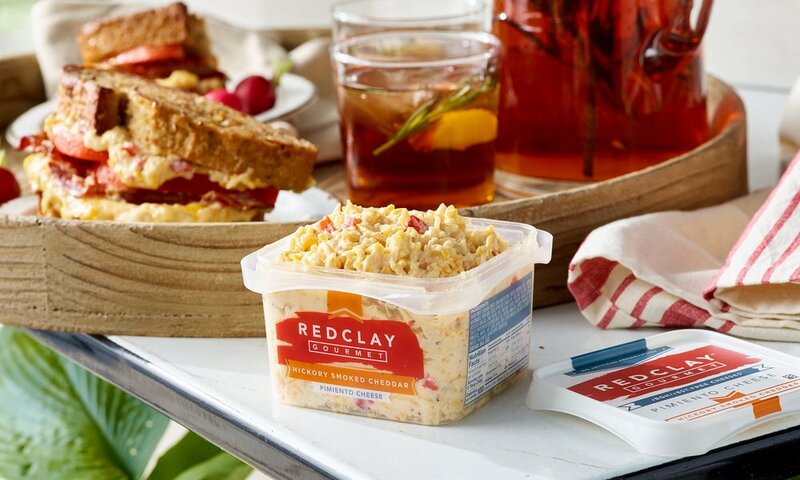 On a recent shoot for Winston Salem-based pimento cheese producer Red Clay Gourmet, owners Lance and Michele wanted to showcase the versatility of their product by showing it in a variety of situations – in the kitchen, on the porch, and at a picnic. We took this direction and planned each shot to create a unique look, feel, and mood—down to expressing the time of day. The challenge for me as a photographer was to create images that were expressive of the brand, contextualize the product in different situations, and use light to suggest a time of day, all the while staying true to my “elegant yet unpretentious” style of work. Using the substantial library of props and surfaces at my studio , the expertise of stylist Chriscilla Browning from Directions USA, and with creative direction from Buttermilk Creative—the design studio working with Red Clay Gourmet to refresh their website and marketing materials—we reached Buttermilk’s goal to capture scenes that fit with the brand, practically and conceptually. The photographs needed to work primarily as hero images on the site, but also work well in other applications like social media, brochures, point of purchase, and other marketing vehicles. Our overriding goal was to get more mileage and use out of the pictures and start building a fresh, consistent brand image for Red Clay. All images were shot in my studio in Greensboro NC. For National Pie day we made three pictures of three different pies for three states (MI, MN and IA) made for a studio that smelled wonderfully like Christmas in October. These are the small joys of being a food photographer. Many thanks to Rachel Winstead and PACE Communications for including me on this shoot. Big thanks to food stylist Alex Blake for the marathon baking session. I recently had the pleasure of photographing 6 chefs in action at a benefit event organized by The Blind Pig Supper Club of Asheville, NC. The Appalachian Storytellers Dinner was held at the picturesque Claxton Farms in Weaverville, NC. It was great to be behind the scenes in a kitchen full of very talented chefs who didn't take themselves too seriously and enjoyed cooking together. Many thanks to Mike Moore, Travis Milton, Edward Lee, Matt Dawes, Elliott Moss, Kyle McKnight and Denny Trantham for giving me free range of their kitchen. Also, thanks to Photo Editor Dudley Brooks of The Washington Post for having me on this shoot and to Jon Eric Johnson for creating the time-lapse video. Chef Edward Lee at work. Hickory Nut Gap Farms Pork Schnitzel with Kimchi Puree & Ham Salt Gravy by Edward Lee. On a recent shoot for Denver-based Sage Restaurant Group, I set out to represent 4 different restaurants through my photographs. My primary intent was for the images to be true the integrity of the restaurant—I wanted to convey the feeling of being there, the light, the mood and the ambiance. The biggest challenge was to make images that express the gestalt of the restaurant, while staying true to my style of photography. Many thanks to Stephanie Ehrler and Peter Karpinski for making photography an integral part of their marketing and brand identity. Sourcing ingredients from local farms and ranches, Urban Farmer Cleveland presents a new take on the traditional steakhouse. Plush couches interplay with weathered wood tables to create a stylish setting for the hearty yet elegant fare served here. 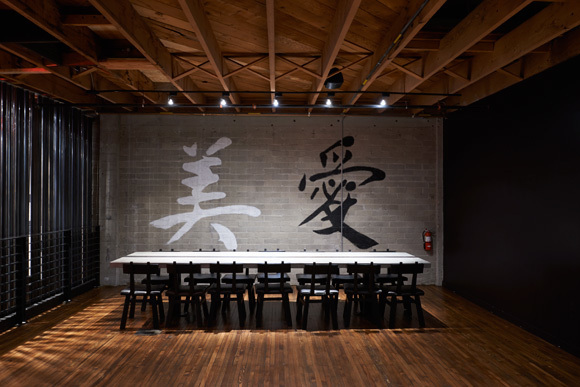 Captained by the soft spoken Top Chef contestant Gregory Gourdet, Portland’s Departure restaurant tempts guests with its ambitious mix of Asian and coastal cuisines. 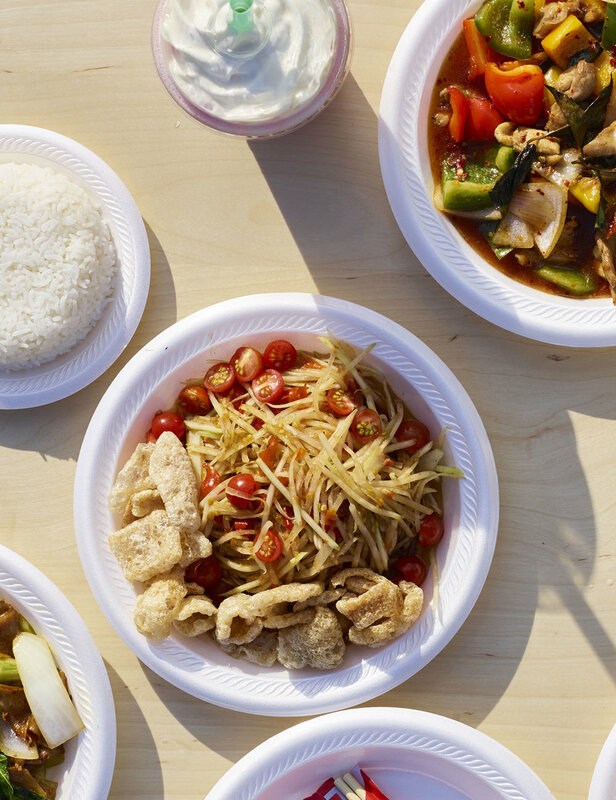 Think “Asia meets Pacific Northwest” with street food style appetizers and the freshest sushi around. All this served up on the 15th floor atop the landmark Meiers & Frank Building with fantastic views of the beautiful Portland skyline. The Hello Betty Fish House in Oceanside, CA, offers a comfortable, eclectic atmosphere filled with beach side charm. The menu features a variety of fish and seafood tacos, alongside a host of other surf-side favorites. Cool breeze from the Pacific wafts in through large open windows at the bar, making it feel like a rustic fish shack on the beach. At the helm of an operation that is very reflective of the sustainable mindset of Portland is a friendly & approachable Executive Chef Matt Christianson. I thought it was pretty neat that Matt keeps bees atop the building, saves the fat that comes off the beef to make candles for the restaurant and makes soap for fun while creating chocolate in various designs on a 3D printer. 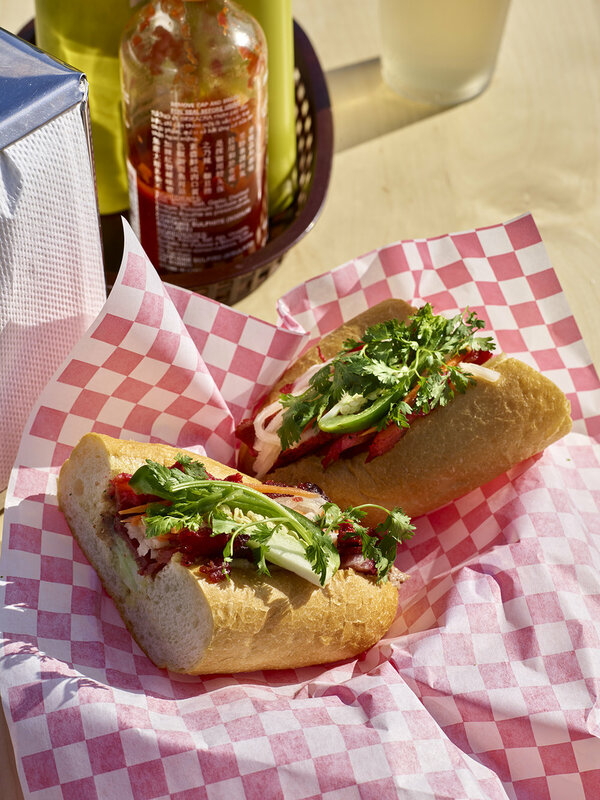 Urban Farmer Portland features a mouthwatering array of locally sourced meats, poultry, seafood and produce. This modern-day steakhouse focuses on local and organic ingredients. Earlier this week, I had the honor of photographing Father Brad Jones and Bishop Chad Jones for the Wall Street Journal. They were the most easy going and fun clergy I have met and it made for a very exciting shoot. Many thanks to Clare Ansberry for the wonderful story about people who change their religions; and to Allison Scott for having me photograph this unusual set of twins. Brad and Chad grew up as Baptists in Elkin, N.C. Today, Brad is a Roman Catholic priest in Charlotte, N.C., and Chad is an Anglican bishop in Atlanta. Riverstead, located in a small farm house and Inn, nestled in the mountains of Chilhowie, VA.
Two nights a month, one of Food and Wine's 2010 best new chefs, John Shields, along with Karen Urie Shields serve a 12 course menu for gastronomes willing to make the trek to Chilhowie. 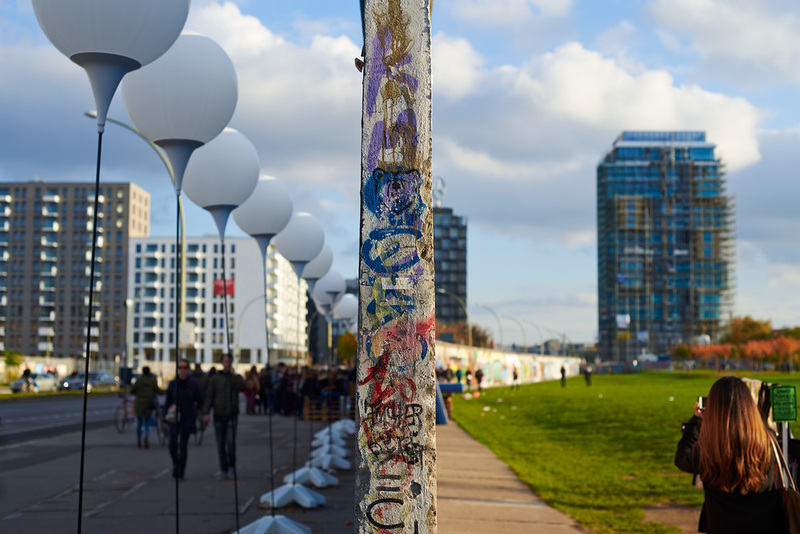 On Nov. 9, 2014, Berlin celebrated the 25th anniversary of the fall of the Berlin Wall. How to shoot pizza without an oven! Scissors & Pie is an iconic pizza brand that crafts traditional roman pizzas. Created from a unique blend of dough, topped with the finest ingredients and hand-cut with scissors into tapas-like square pieces. It's on the journey to become a pizza brand much like Chipotle is to Mexican and Starbucks is to coffee. Working with the creative director Paul Vinod, we set out to create a unique visual language for Scissors & Pie. The challenge was to turn the concept of pizza upside down. And inside-out. Literally. The opportunity came to us in a brainstorming session when the client mentioned that the specially made oven from Italy wouldn't be ready. We took a potential problem and turned it into an opportunity to create something truly special. That's when this iconic set of images came to our minds. We achieved what we wanted to do - to photograph pizza like no other. Here's what we finally did. I recently photographed ONE Restaurant in Chapel Hill, NC, for Food Arts Magazine. It was a fascinating few hours, photographing and watching the prep for the day. Using the bounty of local produce from around Chapel Hill, co-chefs Kim Floresca and Daniel Ryan create sophisticated, ingredient-focused culinary creations that surprise and delight. Kim and Daniel seen through the wine wall at [ONE] Restaurant in Chapel Hill / Swordfish Belly with Rye Berry Salad & Sprouted Seeds. “When you come to Singapore it’s all about food. Food! Food! Food! There’s nothing else.” This is the firmly held belief of Jessica Chan, a former restaurant owner and native Singaporean who has kindly agreed to spend a day guiding us through the ins and outs of Singapore’s notorious street food. We set out with Chan just before lunchtime on an unforgettable dining adventure that offered samples of a dozen local specialties from eateries up and down the respectable East Coast Road in the Katong neighborhood to the tawdry Gelang District for frog porridge after midnight. For travelers with a limited time to sample Singapore’s delicacies, East Coast Road offers a staggering array of food stands and small eateries. And if you can restrain yourself early on, you’ll be able to taste samples from quite a few of them. We started out with Carrot Cake and Teochew Noodle (Dry) at the Fu Sen Eating House at the corner of East Coast Road and Jago Close. The carrot in the cake is not what Americans know as carrots, but rather, a white raddish. The name comes from a direct translation from Chinese, which calls radishes “white carrots.” The raddish is steamed, then fried and tossed into a batch of scrambled eggs. It comes with either black sauce or white, meaning no sauce, and is served with chilli padi (tiny chilis) in soy sauce. Carrot cake is eaten at all times of the day, but for many, it’s a breakfast dish. Just next to the carrot cake stall in this corner food court is the noodle stand. 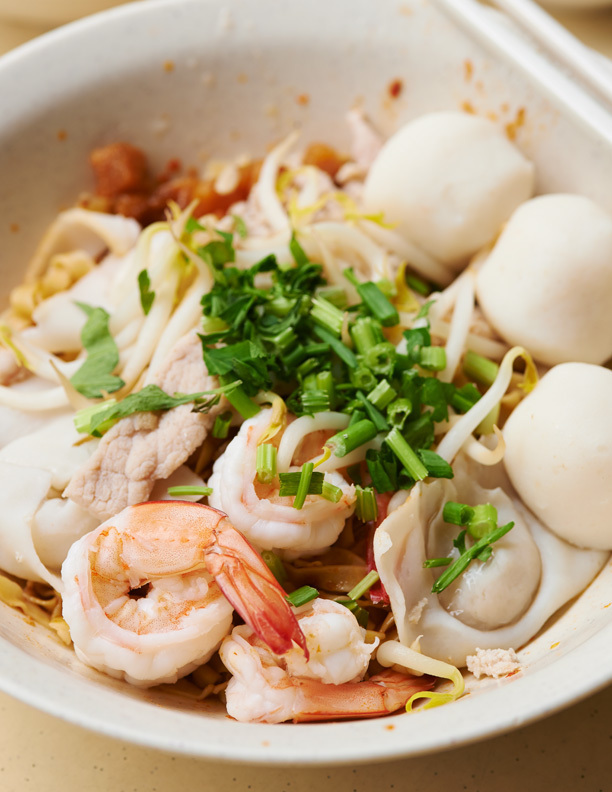 Teochew Noodles – like the carrot cake – is native to Singapore. The noodle dish is made with egg noodles, fish cake, pork, fish dumpling, prawns, bean sprouts and fried lard (crispy diced chunks) and is served with pork broth. served the spicy yet sweet and very rich soup known as Laksa by Lucy Koh, whose business card announces her as a former Classic Mrs. Singapore. Coconut milk enriches the soup, whose ingredients include chili paste, dried shrimp, rice noodles, fish cake, laksa leaves (an herb also known as Vietnamese coriander), prawns, mussles, in a seafood broth. Out of this world. As we stood up to leave, a gentleman who had just finished his own bowl of laksa stopped to chat with us. He wanted to know where Chan was taking us. Making sure foreigners get the best Singapore eating experience possible seems to be a national pastime. Chan and the gentleman discussed where to get the best chicken rice and after a round of discussion, he agreed that she should take us to Boon Tong Kee. Boon Tong Kee (199 East Coast Road) was busy filling a large take-out order when we arrived, so we ducked into the Chin Mee Chin Confectionary (204 EastCoast Road) just across the street for a taste of traditionally made Kopi C, coffee with sugar and milk, and Kaya Toast, a popular snack consisting of kaya (Coconut jam), a spread of eggs, sugar and coconut milk and toast. Kaya toast is served with two very soft boiled eggs that you add soy sauce and seasonings to, mix and dip the bread in. chicken served with white rice cooked in a rich chicken broth with green onions and pickled vegetables on the side as well as an array of condiments including minced ginger, soy sauce and chicken chili sauce to spice it up according to individual tastes. If Singapore had a national dish, Chicken Rice would be it. The Chicken Rice fills us up but Chan says we need to make room in our bellies for a few more things. 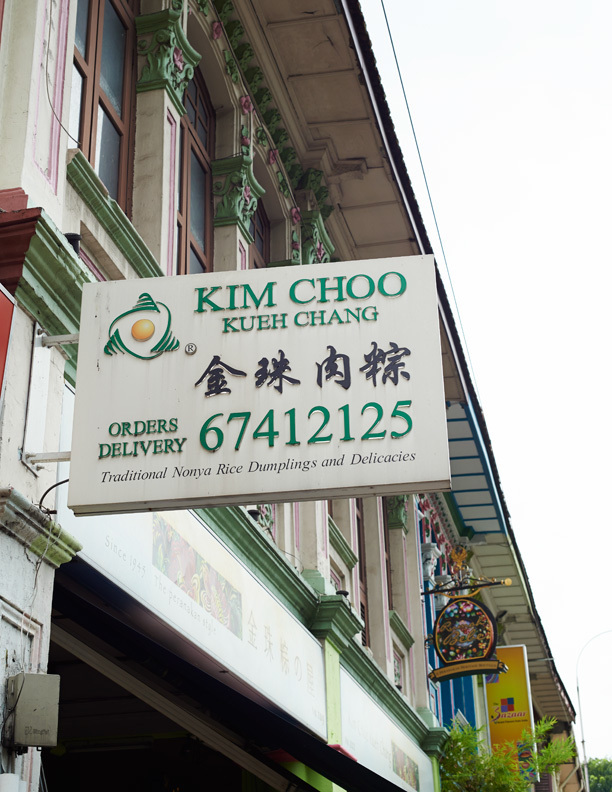 Not to be missed are the Nonya dumplings – or Chang – at Kim Choo Kueh Chang (111 East Coast Road) http://www.kimchoo.com. On the way to Kim Choo Kueh we walk by Glory Catering (139 East Coast Road) and impulsively stop for Popiah, a fresh spring roll made of a thin wheat flour crepe stuffed with shrimp, lettuce, turnip, jicama, cabbage, herbs and dripping with a sweet sticky sauce. Popiah a fresh roll made of thin wheat flour crepe stuffed with shrimp, turnip, jicama , cabbage and herbs. Back to the Chang-The rice dumplings are filled with spiced ground pork or other fillings and wrapped by hand in bamboo leaves. If you happen to be in town during the annual Duanwu or dumpling festival, which usually falls in June, you’ll have to queue up for hours to get the tasty dumpling. But other times of the year the stand is more accessible. As legend has it, a beloved poet and statesman in China drowned himself in a river after being accused of treason. The local people dropped sticky rice triangles wrapped in bamboo leaves into the river so the fish would eat the rice and not the poet’s body. Which brings us to Durian Puffs. The Durian, a fruit native to Southeast Asia, has such a strong, foul smell that it has been banned from public transportation in Singapore. The smell – something like a pile of garbage that has been sitting on the streets of New York on a steamy August day – is enough to dissuade most people from even trying this local delicacy. But Puteri Mas (just off of East Coast Road at 475 Joo Chiat) http://www.puterimas.com will even ship the puffs to overseas fans. I managed one bite and promptly felt queasy so stopped there. The trek is nearly done for the afternoon, but Chan urges us on to try a bowl of Big Prawn Mee at the Beach Road Noodle House, about a half-mile down East Coast Road (370/372 East Coast Road). The mee, or noodles, are floating in a slightly sweet broth made from pork and seafood. At $5.50 (Singapore dollars) it’s a bargain. Make sure to try a glass of Lime juice. This refreshingdrink will help revive you after a long hot walk. We are done for the afternoon, but Chan has been tempting us with tales of the food along Geylang Road, Singapore’s Red Light (or more accurately, Red Lantern) district. That Singapore has a red light district is news to us and we are eager to check out the seedy side of Singapore. So after a long rest we meet again for a late-night snack. Or should I say a streetside banquet at the food stalls at Lor 9. There Chan insists that we try two version of frog porridge (one with dried chili and one with ginger and onions served as a stew with a side of congee, or rice porridge); barbecue stingray; a fried oyster omelette; and beef Kway Teow (beef with rice noodles). I didn’t think we’d come close to finishing what we ordered, the but flavors were so delectable, we polished off the feast and headed home well past midnight to recover from our food trek through Singapore. 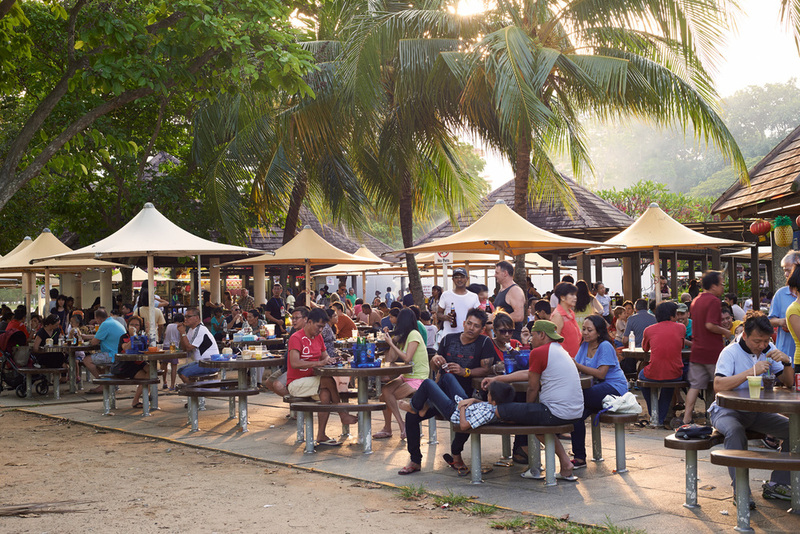 The hawker center at East Coast Park has more than 60 food stalls, many offering tempting varieties of seafood. The fresh salmon with garlic served on a banana leaf from stall #45, Stingray Forever Barbecue Seafood, was so good we had to visit this hawker center several times. Other stalls offer satay, duck porridge, chicken curry puffs, chicken rice and other seafood options. For dessert, try out the Ice Kachang (shaved ice mixed with various jellies, beans, fruit and condensed milk) from Jacky Dessert in the middle of the food court. If you’re craving a more formal meal away from the crowds, make a trip to Changi Village at the northeastern tip of Singapore. This sleepy neighborhood is a popular destination for beach lovers and cyclists, who play by day and eat at the local hawker center. We ended our trip with an unforgettable meal at the Ponggol Choon Seng Seafood Restaurant http://choonsengseafood.com. The highlight was the chilli crab, but the Mee Goreng and Prawn Pancake were excellent as well. I was in San Diego this past August on another shoot and Creative Director Laurie Nicoud had me shoot a few images for San Diego Magazine. First stop was the Sandra Dijkstra Literary Agency-stellar list of writers. Sandra was very gracious and it was a pleasure to work with her. Cavory was somewhat experimental, I just love the images from that session and wouldn't it be nice to shoot the entire menu using every possible surface at Sea & Smoke. 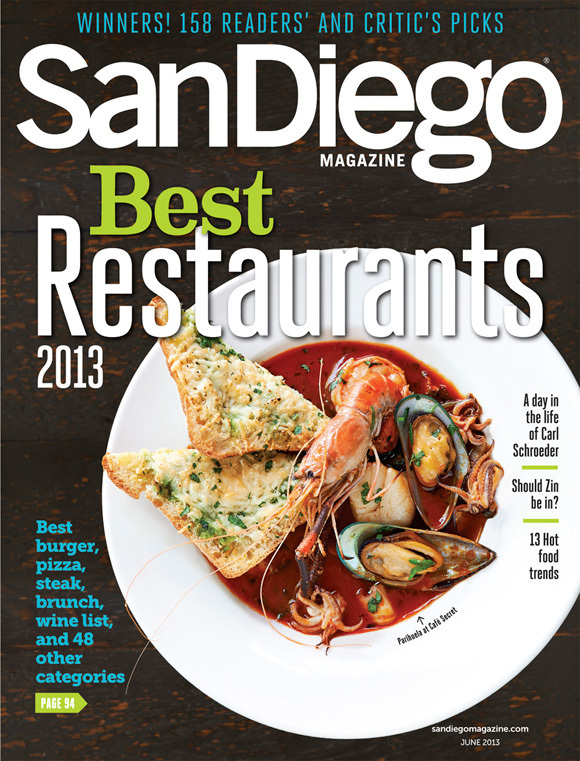 I love shooting restaurants and it is always great to be in San Diego. So running around the city shooting 12 restaurants over 3 days pretty much makes this my favorite gig. Here are a few spreads and some shots that didn’t make it in. For my first cookbook, I teamed up with cooking teacher and best-selling cookbook author Lynn Alley for a book that shows cooks and gardeners how to make the most of fresh herbs such as mint, dill, rosemary, and thyme. The key to cooking with fresh herbs is to keep things simple and let the flavor of the herbs shine, so the recipes are made with only a few readily available ingredients that showcase the vibrancy of each herb. We shot the cookbook last summer at Lynn's house in San Diego. Lynn styled the food and Melissa Gardner was the prop stylist. The book's appealing design came from Julie Barnes at Andrews McMeel. And Lane Butler at Andrews McMeel did a great job of editing and managing the whole project. I shot all of the book's photos and had the pleasure of tasting all the dishes. The one I will always remember is the Savory Tomato Sorbet with Oregano: the flavors offered an unexpected and refreshingly delicious surprise. Place the ghee in a large skillet over medium heat and allow the skillet to heat thoroughly, 3 to 4 minutes. It’s important not to get the skillet too hot, as the potatoes on the bottom will cook before the insides are done. Toss the yams with salt, pepper, coriander and cumin seeds, and egg whites. Place the yams in the skillet and press them down with a spatula into an even layer. Cook for about 10 minutes, rotating the skillet a couple of times to avoid hot spots, until the bottom of the rösti is golden brown. Loosen the rösti on the sides and bottom of the pan with a spatula, slide the rösti out onto a plate, then slide the rösti back into the pan, browned side up. Cook for another 10 minutes, or until the underside of the rösti is also browned. Gently run a spatula around the sides of and underneath the rösti and slide it onto your serving plate. Top with yogurt, cilantro, scallions, and chile and serve immediately. I recently had the opportunity to shoot about 50 covers of "The Great Gatsby" at the University of South Carolina's very impressive special collections library. It was fascinating to see so many prized books at one time - one of the perks of being a photographer. A small sampling was published in T : The New York Times Style Magazine. We picked the one and only snow day in January to shoot this feature. The city was mostly shut but the light was good and that’s all that mattered. Well, that and the rustic and unusual crackers that the Design Director Ann Harvey - from PACE Communications - baked for the shoot. I recently had the pleasure of visiting Garland Truffles in Hillsborough, NC, to shoot a story for THE LOCAL PALATE Magazine out of Charleston, SC. 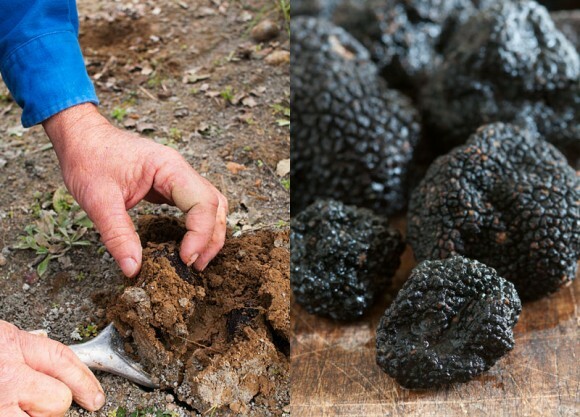 It was fascinating to see how truffles are harvested and listen to Franklin Garland talk about how he got started growing truffles. 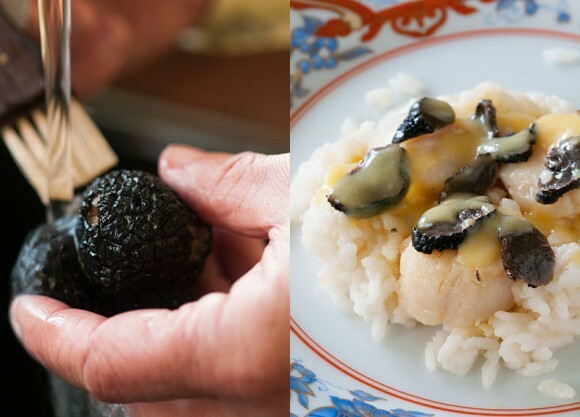 The best part of the shoot, of course, was the truffle-filled dishes we got to sample all day. Dhanraj Emanuel is a food and travel photographer. He is based in North Carolina and travels wherever the camera takes him.